The Southern California jockey colony is one of the nation’s toughest, perhaps trailing only the outpost in New York in degree of difficulty. Several current and future Hall of Fame riders call the west coast home, making it hard for a new face to make a name for himself. One such new face, 20-year-old Ruben Fuentes, is attempting to set himself apart from his peers. The young gun appears right on the cusp of breaking out. 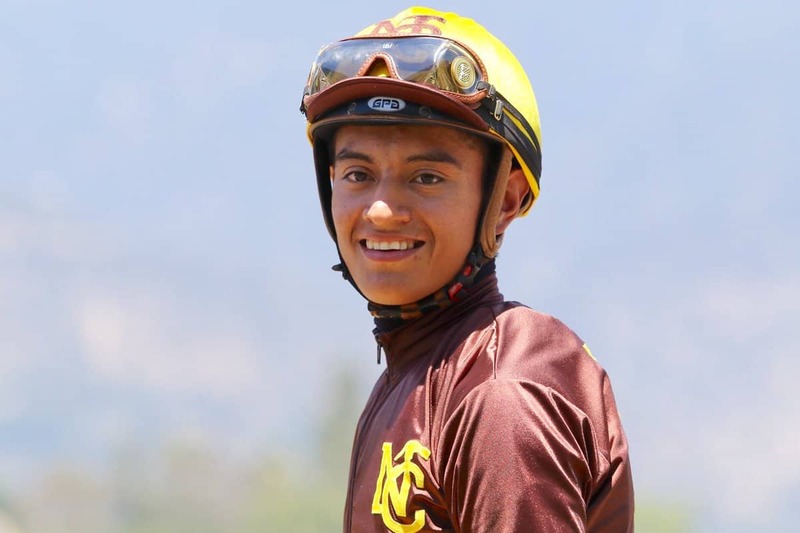 Fuentes grew up in an equine-centric family –his dad, Miguel, was one of the top jockeys in Mexico before becoming a trainer and made sure that Ruben and his two brothers knew how to ride at a young age. Riding professionally was always what Ruben wanted to do. 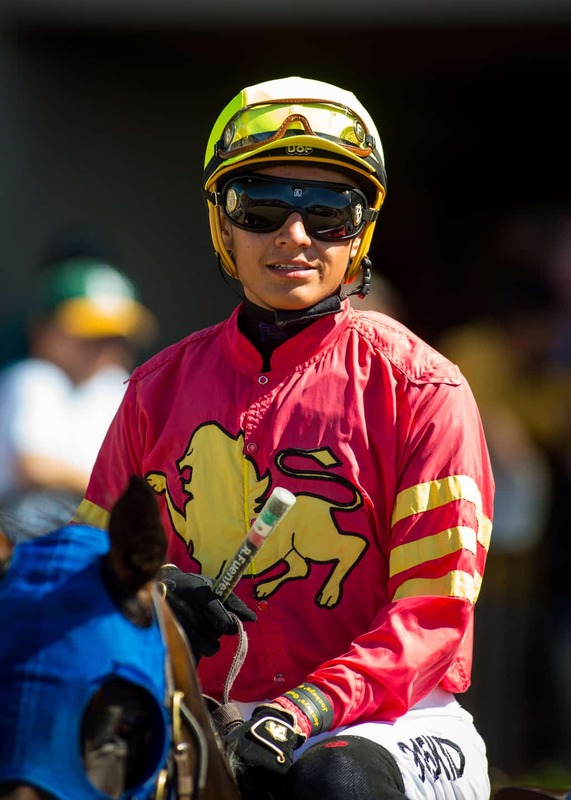 Ruben Fuentes officially debuted as a jockey on December 7, 2015, at Zia Park, riding Sword Bearer to a sixth-place finish in a maiden claiming event. 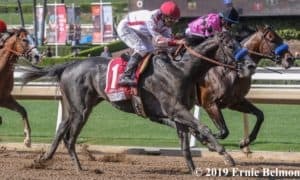 He didn’t make his second start until July 22, 2016, at Ruidoso Downs, and had to settle for several near-misses before finally breaking through on August 29 aboard fellow maiden Arctic Crush. Fuentes returned to the winner’s circle 16 more times that year, including at Zia Park and Turf Paradise. His prowess quickly caught the eye of Scott Stevens, annually one of the top riders at Turf Paradise. 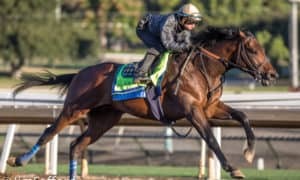 Scott’s younger brother and Hall of Fame rider, Gary, was scheduled to undergo hip replacement surgery and would miss several months’ worth of mounts at Santa Anita Park. Gary’s agent, Mike Ciani, was searching for a new client to fill the void, and Fuentes was given the opportunity to pack up his tack and move west while still an apprentice. It didn’t take Fuentes long to settle into his new home. 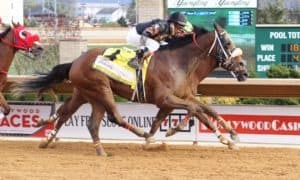 He won with I’ll Wrap It Up on January 20, 2017, in only his fifth mount since moving, then quickly returned the next day aboard maiden Wild Mischief, a race he won despite losing his left iron in the final furlong. All told, he tallied 7 wins in the Winter Meet, losing the apprentice title on the final day after Austin Solis broke their tie aboard Cherokee Dynasty. Though still a teenager at the time, Fuentes made an immediate impression on his veteran counterparts, including the man he temporarily replaced, who took Fuentes under his wing and helped guide Fuentes early on. 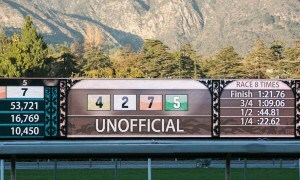 One incident that stands out began in the sixth race at Santa Anita on March 31, 2017. Fuentes’ horse, Swissarella, was beginning to fade from second between horses in the far turn when Fuentes veered her out a bit, bumping into Allsquare, the horse to her right. 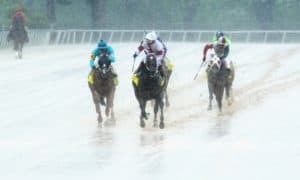 This caused a chain reaction that ultimately led the California Horse Racing Board (CHRB) to formally review the race in a hearing the next day. Representing Fuentes at the hearing were long-time jockeys Stevens (who rode the winner of that race), Corey Nakatani, and Santiago Gonzalez (who had been aboard Allsquare). According to the official minutes from the hearing, all three defended Fuentes’ actions, stating that he was reacting to fellow rider Flavien Prat. While aboard the horse that was passing Swissarella on the rail, Prat yelled out as if he was in immediate danger. 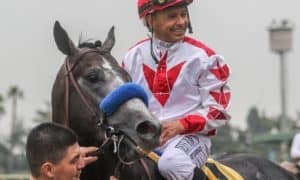 The veteran jockeys claimed that Prat had “cried wolf,” even though he’d had plenty of room to make the pass, and explained that Fuentes’ sudden move to the outside was blameless because he was protecting what he thought was a rider in trouble. Thanks to the support of his respected peers, the CHRB agreed and passed no punishment against him. By the end of 2017, he had completed his apprenticeship and compiled 24 wins between Santa Anita, Los Alamitos, and Del Mar. 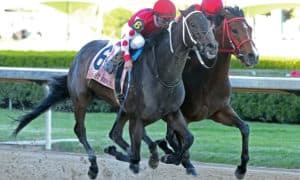 He’s continued to show improvement in 2018, with 21 wins as of July 22 while displaying a strong sense of versatility: he has finished first on grass and dirt, in sprints and routes, against maidens and veteran allowance company. 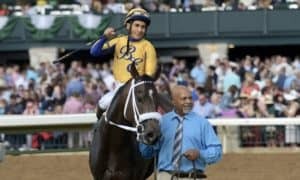 In his own mind, he’s at his best when leading early in a sprint, but thanks to his father’s teaching style, he knows that all horses are different, and that the best thing he can do is let them settle and do what they want. The next achievement on his docket is getting his first big stakes score. 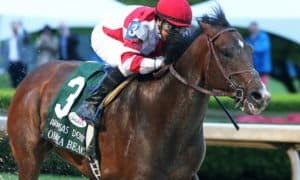 He’s come close in five attempts, with a record of 0-1-3, including a third aboard Psycho Dar in the $200,000 Snow Chief Stakes this past June. Still, Fuentes knows that his big breakthrough won’t come until he starts adding stakes wins to his resume. 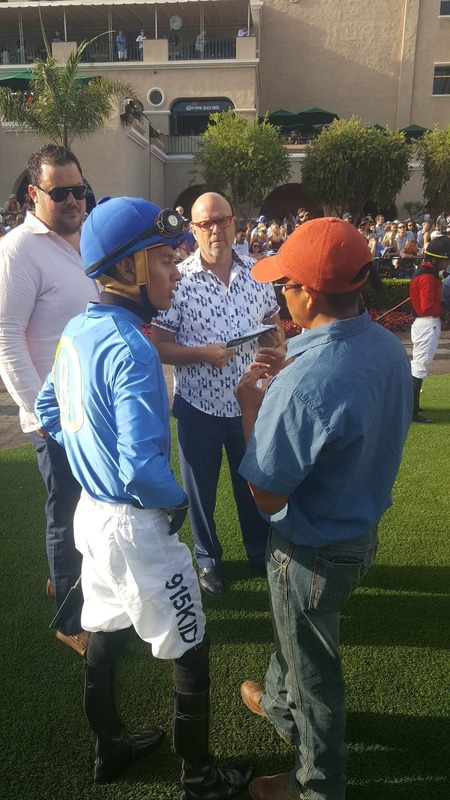 His best chance at accomplishing that goal may come thanks to a connection made with a similar up-and-comer – Luis Mendez, who earned his trainer’s license on June 1, 2018, and made his first start a day later at Golden Gate Fields. Together, the two have a pair of wins in five starts, all with juveniles. Fuentes’ relationship with Mendez was born out of his success with another conditioner. One day, Aguirre called with word that a friend of his (Mendez) needed a jockey for an unraced juvenile named Carotari. One week later at Santa Anita, Carotari romped in his debut, and Fuentes was able to reward Mendez’s faith by giving the trainer his first-ever W. The cherry on top was that they had conquered three well-regarded foes from much bigger barns. A son of the successful turf runner English Channel, Carotari’s looks and pedigree were enough to convince owner Bill Branch to send Carotari to Saratoga under the care of east coast-based trainer Brian Lynch. The plan is for Carotari to enter the $100,000 Skidmore Stakes, a 5 1/2-furlong turf sprint for juveniles. If and when he saddles up for the Skidmore, Branch has said that his colt could have a familiar face greeting him in the paddock. 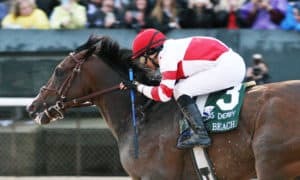 Thanks to their initial triumph together, Fuentes rejoined forces with Mendez two weeks later aboard another Branch horse, this time a filly named Katieleigh. 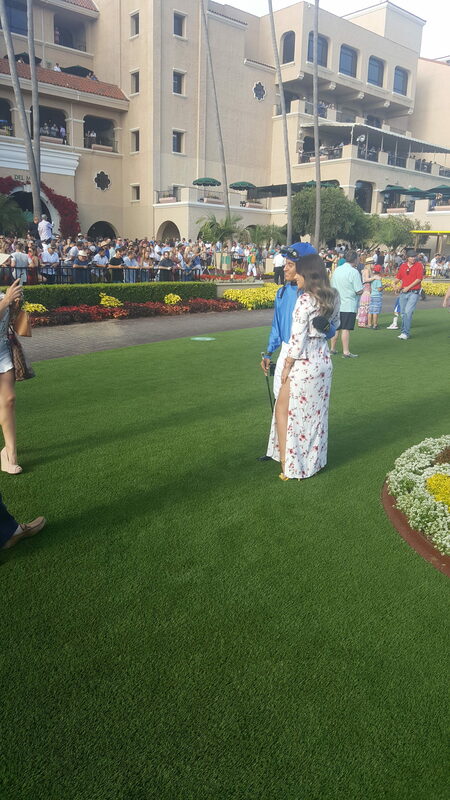 Second on debut under Drayden Van Dyke at Santa Anita, Katieleigh broke her maiden next out at Los Alamitos, a race in which she and Fuentes convincingly defeated the highly-touted, $800,000-purchase Bellafina. 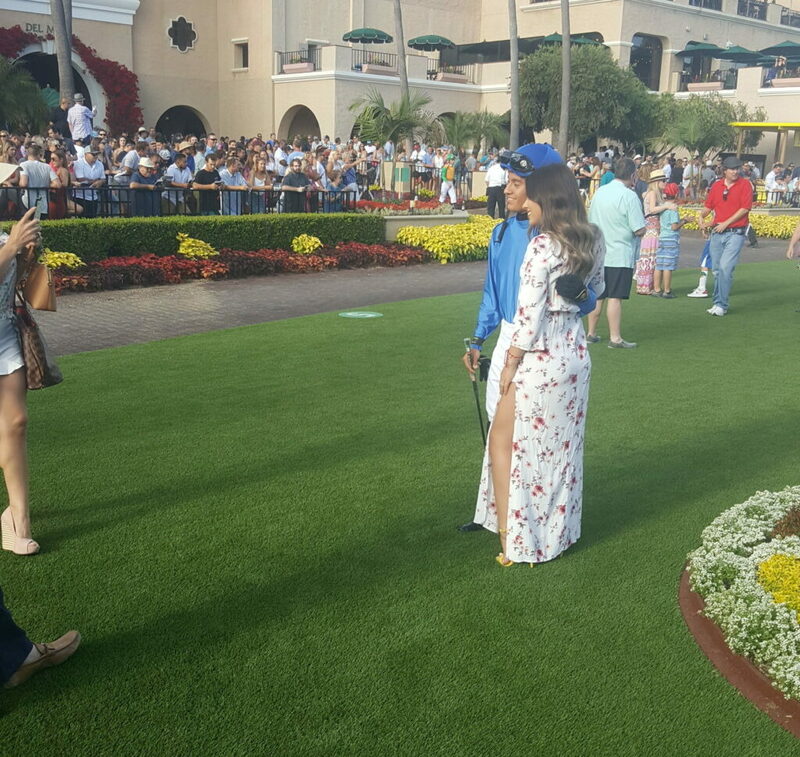 Katieleigh’s performance was strong enough for her connections to aim her towards the Grade 2 Sorrento Stakes and the Grade 1 Debutante Stakes during the Del Mar summer meet. 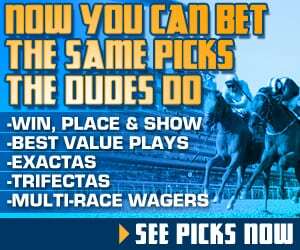 An owner who doesn’t often have stakes-caliber horses but is willing to send a young, relatively unknown jockey to the year’s toughest meet is a notion that speaks volumes of Fuentes’ talent and potential. Fuentes, however, remains humble and appreciative of what he’s been able to do thus far. For Fuentes, the future is bright; the sky is his only limit. But if he ever decides to change careers, the athletic young man could always try racquetball.